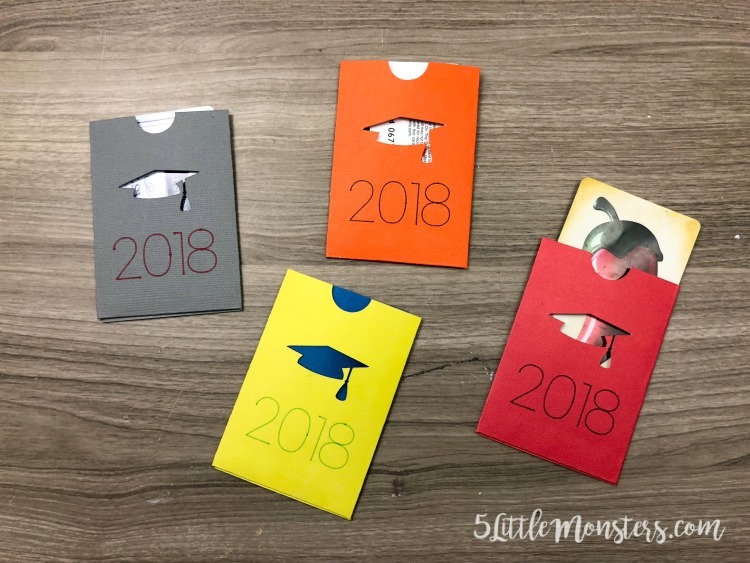 I used my Cricut to make gift card holders that can be used to give gift cards to your grads, because let's face it, when you are graduating from High School, or even from college, money and gift cards are probably what you want more than anything. I just used some random gift cards that I had in my wallet to take the pictures but what grad wouldn't love a gift card to iTunes, Amazon, Walmart or Target, or if they are going away to college, restaurants near campus. 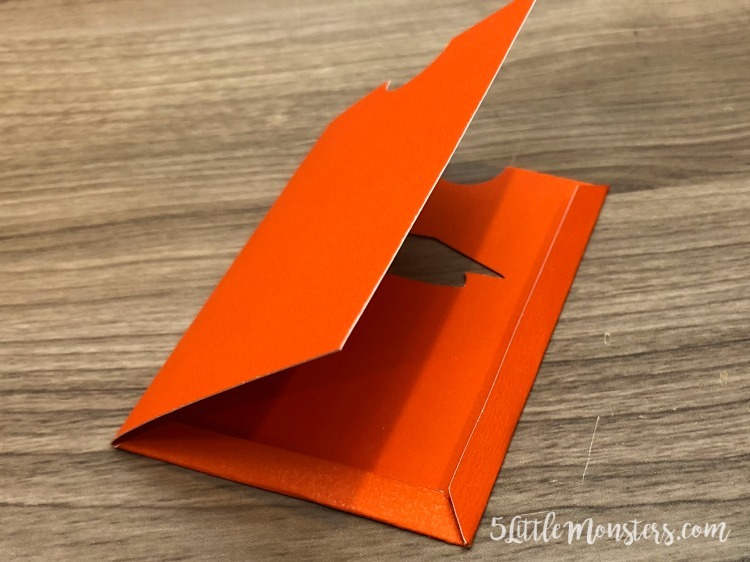 Instead of just handing them a plain gift card or putting it in a generic envelope you can make one of these holders in just a matter of minutes. 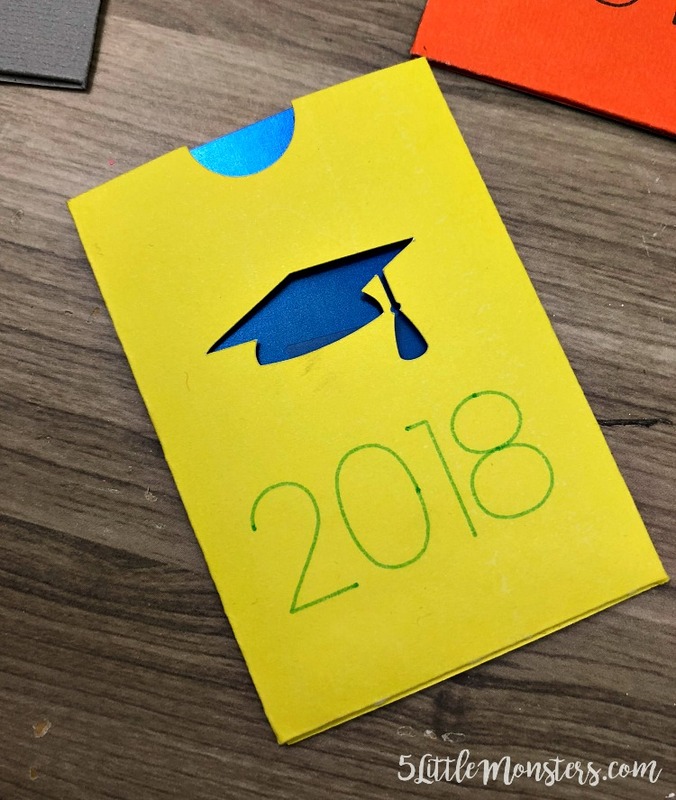 I thought it would be fun to make them up in school colors so I made mine in school colors of some of the schools near me. 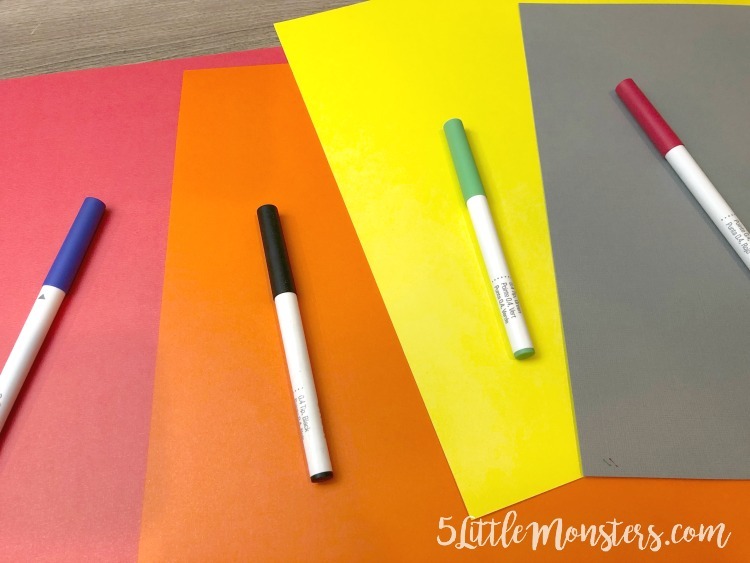 All you have to do is choose your cardstock and your pen in school colors. 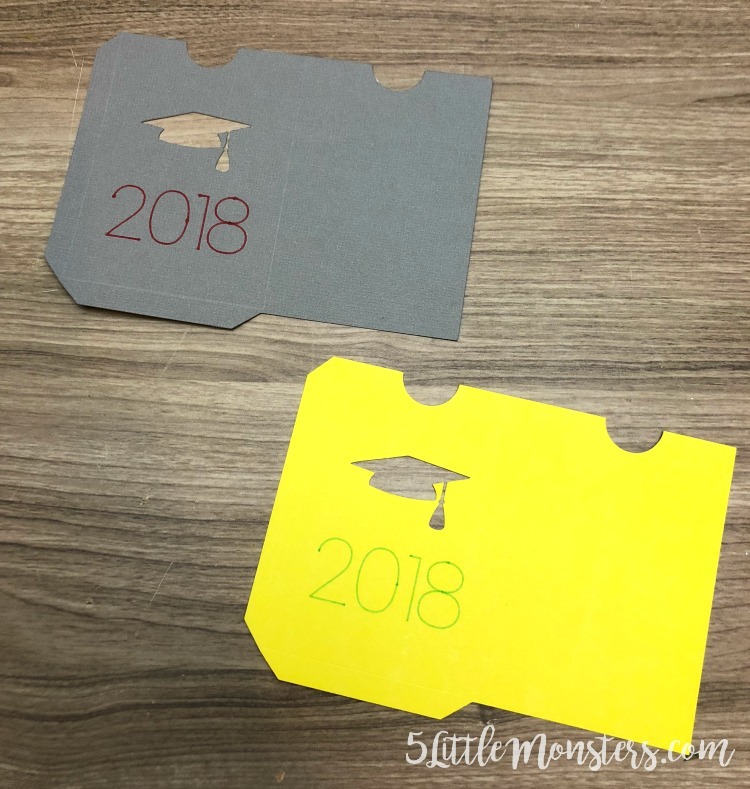 I would recommend choosing the lighter color for the cardstock so that the pen will show up. I used yellow with a green pen, gray with a red pen, orange with a black pen, and red with a blue pen. First you will need to open this file in Design Space. Cut it out in desired colors. It will first score, then draw, then cut, so you will need to put the scoring tool in first, then switch it for the pen. 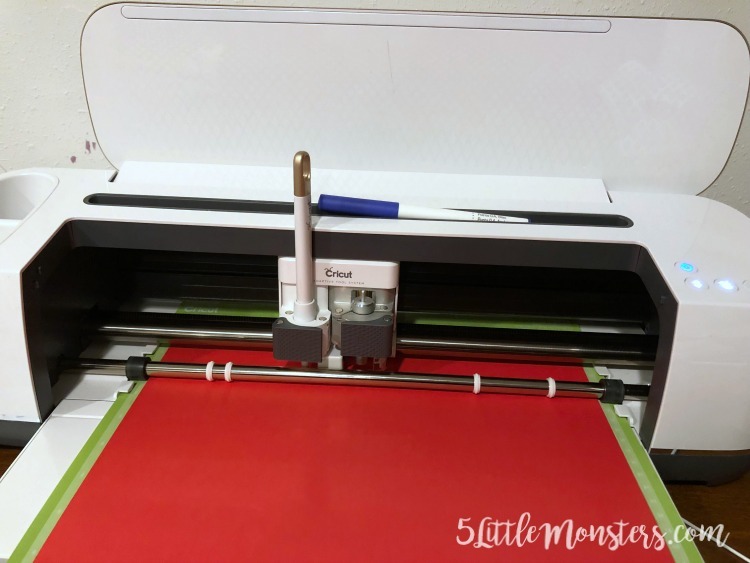 Carefully remove the cut outs from the mat. 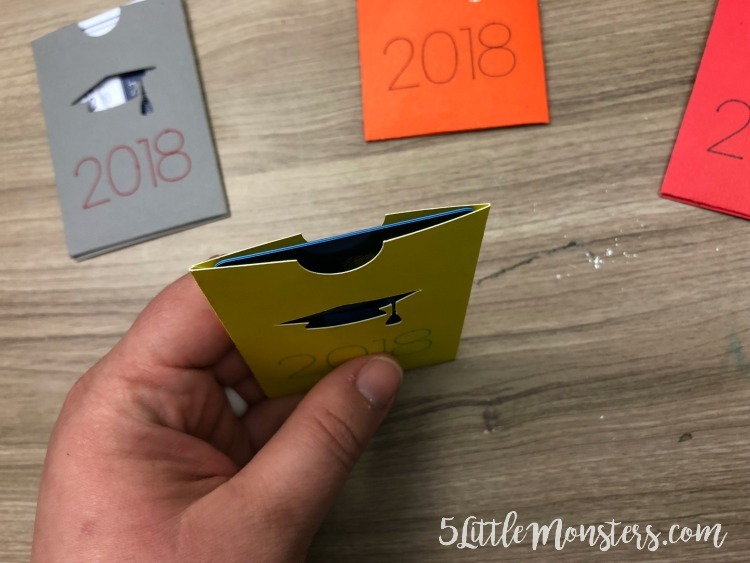 Fold along the score lines and glue the flaps to the inside of the back. 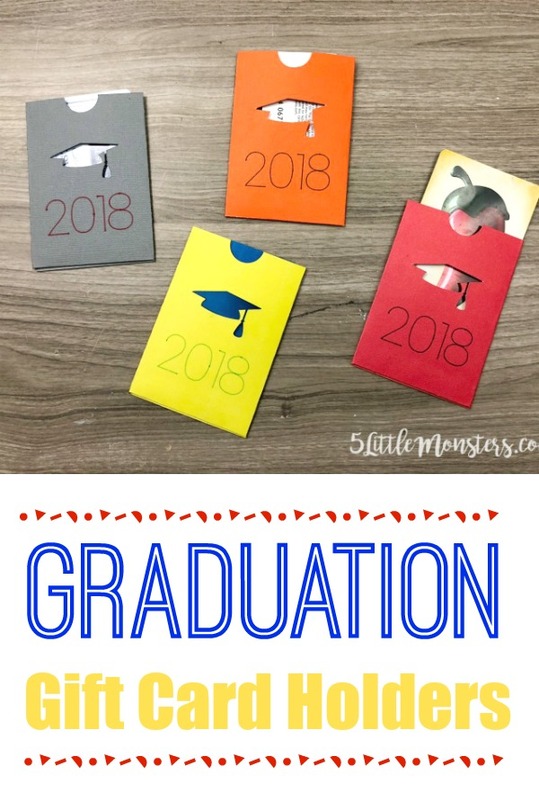 Then all you have to do is add a gift card and you have the perfect graduation gift for you high school or college grad. 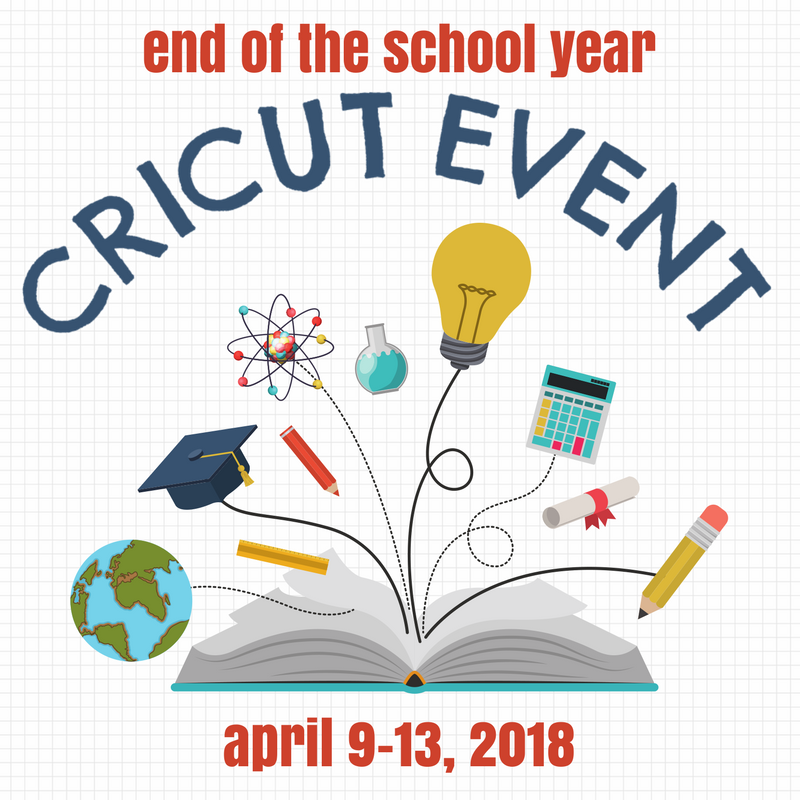 Be sure to go check out all of the other fun end of the school year crafts being shared this week.